Kelly Creates BLANK Paper Pad 345794* at Simon Says STAMP! 345794 This item is on reserve until If you would like to reserve this item now, you may purchase it now with the rest of your order. We will hold your order now and ship your entire order as soon as this item is back into stock. If you would like your order to ship now, please place this item on a separate order. 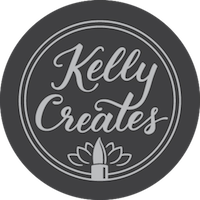 Success, Kelly Creates BLANK Paper Pad 345794* has been shared! This ultra smooth, blank paper pad is perfect for lettering practice! Let your creative ideas flow across the page. This pad features micro perforation allows for easy tear away, and 50 sheets of blank practice paper. This package includes one 8.5 x 11 inch paper pad.